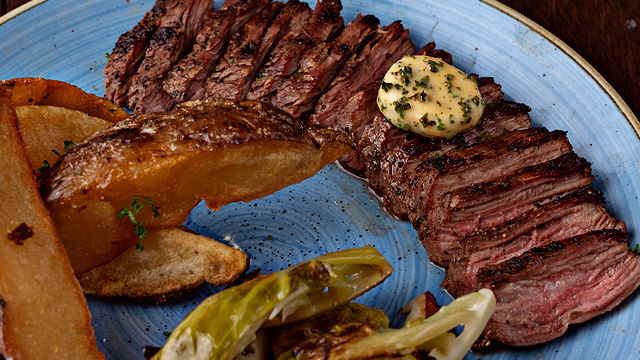 Give these a try on your next trip out of the country! Starbucks Korea recently released a vibrant Violet Roasted Sweet Potato Latte (in case you were wondering—yup, that's ube!) that features a light purple gradient from the blend of purple sweet potatoes and milk. 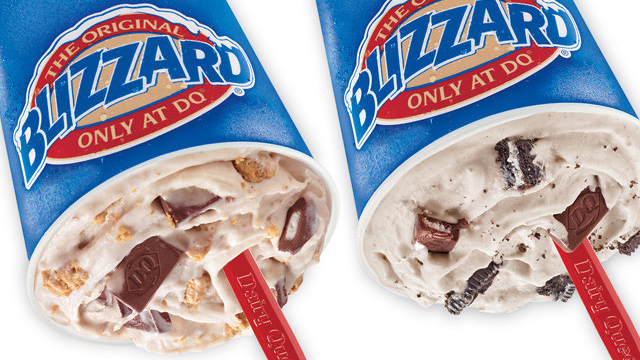 You can get it either hot or cold with whipped cream and bright purple dust sprinkled on top. As their names suggest, Starbucks Japan's new Valentine's-themed drinks, the Valentine Customania Cocoa and Valentine Customania Frappuccino, can be customized depending on how you'd like them. 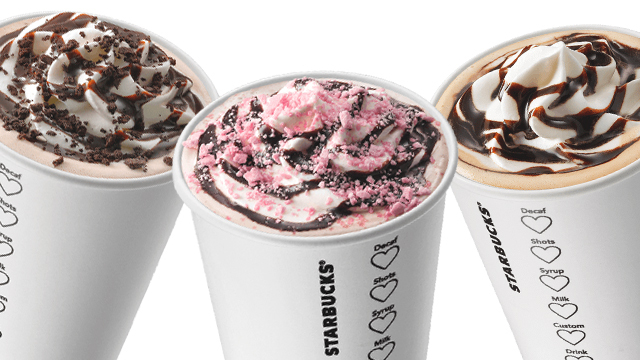 You can get the Romantic version, which is topped with strawberry meringue, the Chocolate version sprinkled with crunchy chocolate biscuits, or you can grab the Coffee version which lets you add another espresso shot to your beverage. Plus, check out those cute heart-shaped details on the cups! In 2018, Starbucks Hong Kong launched two new and exciting drinks made in collaboration with HK-based baristas who participated in the 2018 Coffee Innovation Competition. The first one, the CoLychee Macchiato, bursts with notes of lychee, milk, and espresso roast. Plus, it's got a whole layer of chewy nata de coco and topped with coconut-flavored whipped cream. 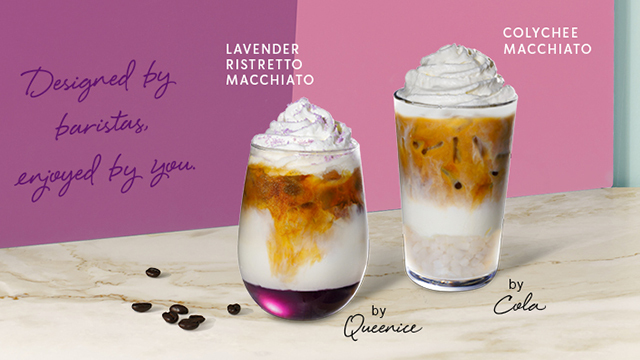 Meanwhile, the Lavender Ristretto Macchiato contains steamed milk, a shot of ristretto (a more concentrated version of the classic espresso), and notes of lavender—all beautifully topped with lavender-flavored whipped cream and purple sprinkles. Nothing says tropical like the combination of sweet mangoes and exotic dragon fruit in this drink from Starbucks in the U.S. and Canada. This fruity, hand-shaken beverage has a deep magenta hue coming from its primary ingredient: The red-fleshed dragon fruit (also known as pitaya). You can customize it by adding coconut milk to make it creamier. The refreshing taste will have you feeling like you're on summer vacation! 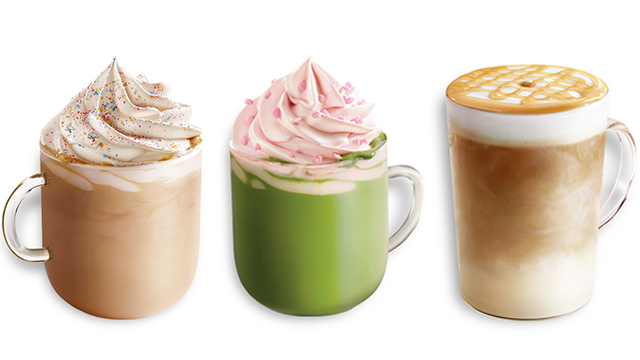 Starbucks in China is ready to ring in the Lunar New Year with three new beverages, namely the New Year Firework Latte, the Peach-Flavored Green Tea Latte, and the Macadamia White Chocolate Flavored Macchiato. You'll love these paired with their oh-so-sweet treats such as the Raspberry & Pistachio Cake and the Black Sesame Chocolate Cake.